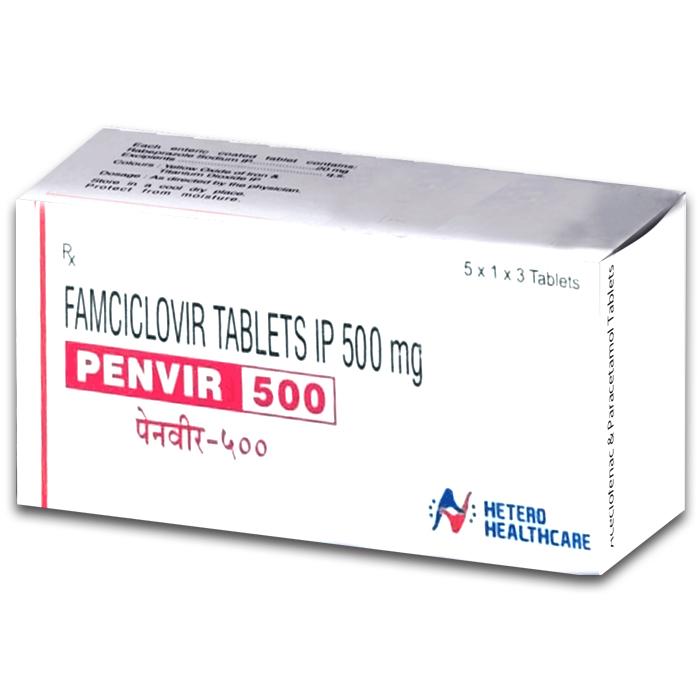 PENVIR is a brand of antiviral nucleoside Famciclovir with analog Penciclovir. Penciclovir is a highly selective antiviral with a prolonged action against Herpes infection. PENVIR (Famciclovir) scores over conventionally used Aciclovir with higher bioavailability, prolonged half-life and good duodenal stability. Thus offers convenient BID/TID dosage compared to 5 times of Aciclovir. PENVIR (Famciclovir) accelerate rate of Herpes lesion resolution and reduce duration of PHN (Post herpetic Neuralgia)USP: PENVIR (Famciclovir) Cures with Convenience PENVIR (Famciclovir) has proven efficacy in treating various viral infections like Herpes Zoster Genital Herpes Chickenpox (Varicella zoster virus infection) Orolabial Herpes Bell's Palsy Ocular Herpes Recurrent HSV infections in HIV-positive and immunocompromised patients. This medicine is used in the treatment of herpes zoster infection (shingles). The infection is characterized by a painful rash with blisters and burning. It occurs in patients who have had chicken pox in the past.